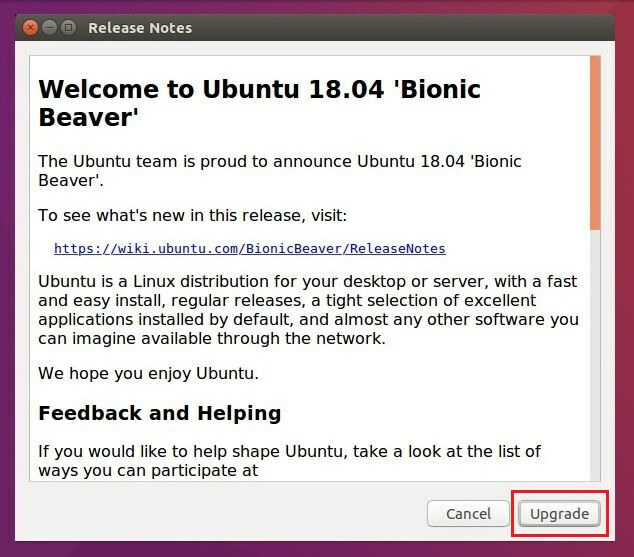 Ubuntu 18.04 has been released on 26th April 2018, code-named Bionic Beaver. 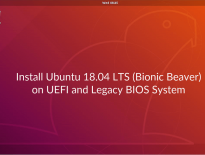 If you haven’t upgraded to Ubuntu 18.04 yet, here is the guide on how to upgrade Ubuntu 16.04 LTS or Ubuntu 17.10 to Ubuntu 18.04 LTS. You can also do the fresh installation of Ubuntu 18.04 LTS. Ubuntu 18.04 will be supported for five years, until April 2023. Take a look at the compelling features in Ubuntu 18.04 LTS. You need to have an active internet connection to download the packages. Before upgrading Ubuntu 16.04 to Ubuntu 18.04, please take a backup of important files to a location like external hard disk or Dropbox. 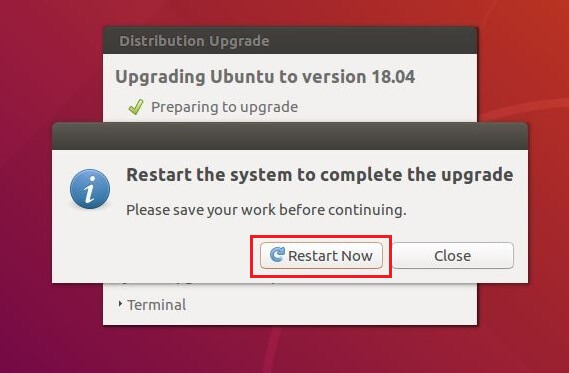 Ensure the system is configured to receive upgrades from Ubuntu. To check that, open up the Software & Updates. Click on the Unity Dash >> Search for Software & Updates. 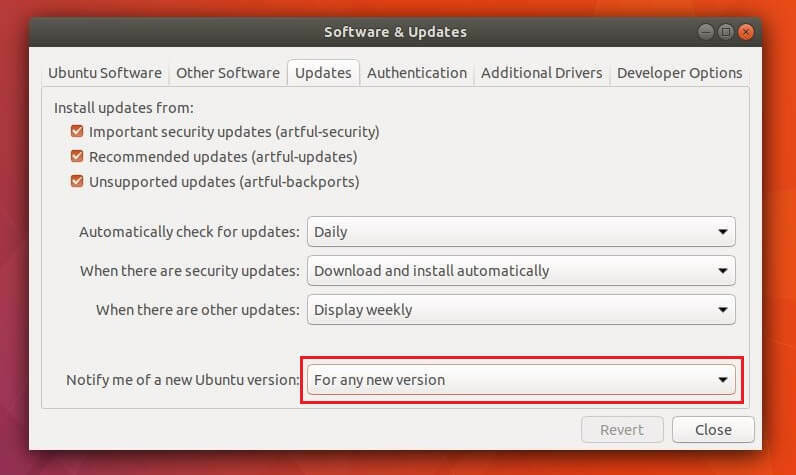 Go to Updates tab and make sure Notify me of a new Ubuntu version is set to For long-term support versions. Click the Activities >> Search for Software & Updates. Go to Updates tab and make sure Notify me of a new Ubuntu version is set to For any new version. 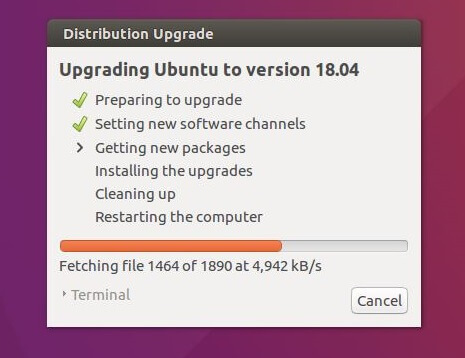 Install the latest updates for the current version of Ubuntu using the following command. It would ask you to enter the password. Start the software updater to begin the upgrade. In the terminal, run the following command to bring up the software updater. Press Alt + F2, then type update-manager -cd in the command and then hit Enter. 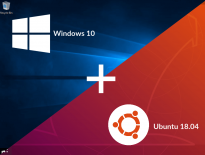 Within a few seconds, you should get the software updater window with a message saying that Ubuntu 18.04 LTS is now available. Click on Upgrade. 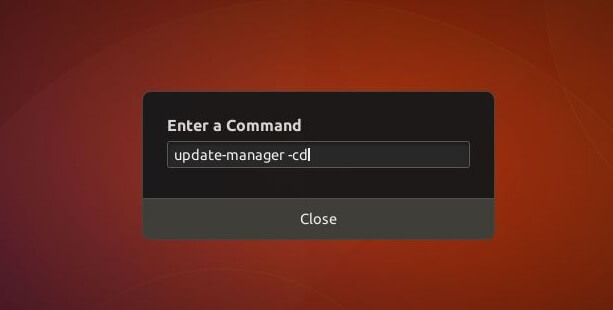 Now, click the Upgrade button in the Ubuntu 18.04 LTS release notes window. Wait for few minutes to let the software updater prepare your system for upgrades and configure new channels to receive upgrades. Click Start Upgrade to start the upgradation process. Take a break. The upgrade process will take a while to complete depending upon the speed of your internet connection. 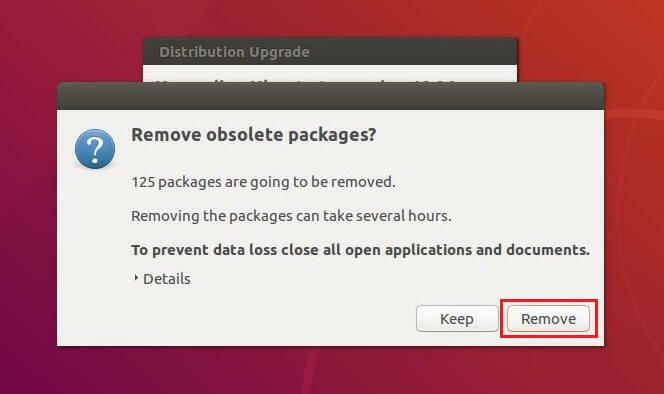 Once all the packages are upgraded, click the Remove button to remove the obsolete packages. Finally, Click Restart Now to restart the machine to complete the upgrade. Once it is rebooted, you will get the Ubuntu 18.04 login screen. Login with your credentials. You will get the desktop upon successful login. That’s All. 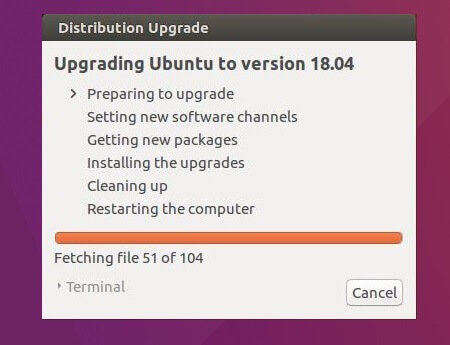 Your system has been successfully upgraded to Ubuntu 18.04 LTS.